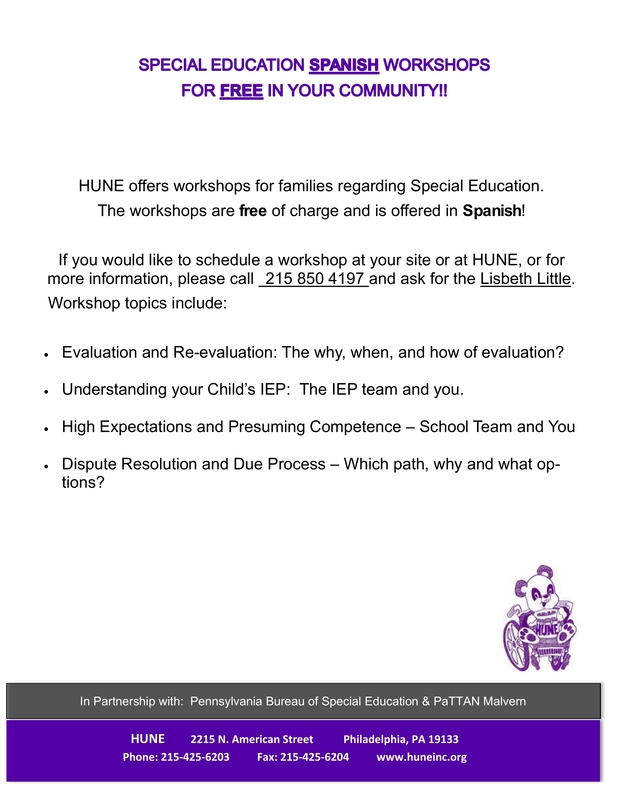 HUNE Inc. is offering free Special education workshop for Spanish speaking parents. Hune is hoping to partner with community agencies in the Lehigh, York, Lancaster, Berks, and Montgomery counties who are willing to host our presentation. The presentations last about 1 hour to 1 hour 30 minutes and are aimed at educating parents on the special education process. See flyers in English and Spanish for more information!